Armed men caused mass panic on the streets of Guadalajara on Friday, burning buses to block off traffic in retaliation for the arrest of Erick Valencia Salazar, the leader of the Cartel de Jalisco Nueva Generacion, earlier in the day. Valencia was detained along with his second in command after Mexican soldiers stormed a house in the Lomas Altas neighborhood in Zapopan at around midday. Shortly afterwards, armed men began boarding public buses, forcing the passengers off at gunpoint and burning the vehicles at major intersections across the city. In the evening I went to a press conference given by Jalisco Governor Emilio Gonzalez, who confirmed that gangs seized 25 vehicles in 16 separate incidents – 11 of them in the Guadalajara metropolitan zone. Gonzalez said suspects have been arrested, but refused to elaborate or take further questions. Earlier, Zapopan authorities said nine people been detained in connection with the narcoblockades. Returning from the press conference I saw one of the burned out buses being towed away past the iconic Minerva fountain. 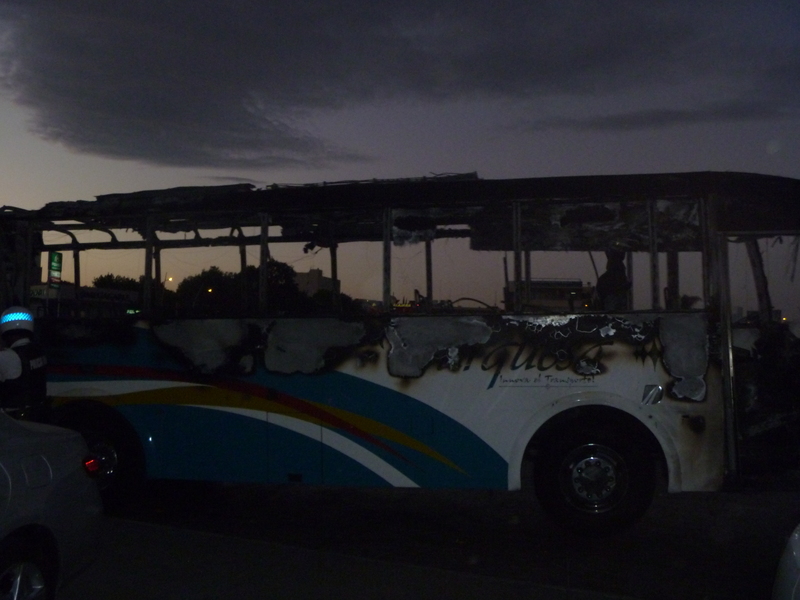 It was the same Turquesa bus in which a man was burnt to death, having apparently refused to leave the vehicle. – See updated story here for full details.